Felicia Lawrence was raised in Calumet Heights. She returned to Chicago two weeks ago and will be among three hosts of "The Jam." The new morning show on WCIU-TV will debut later this summer. 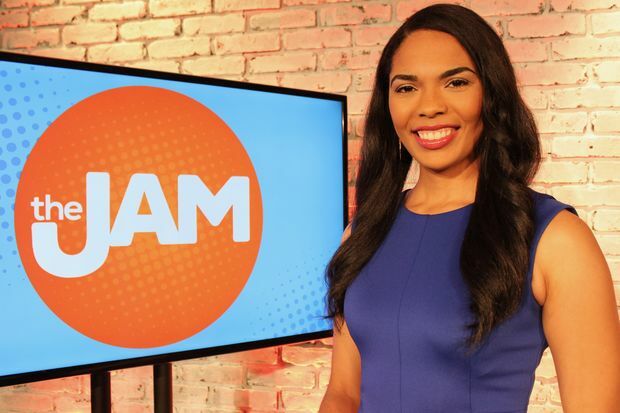 MORGAN PARK — Felicia Lawrence returned to Chicago two weeks ago to prepare to host a new morning show called "The Jam" on WCIU-TV. But in a way, Lawrence never left. A large advertisement featuring Lawrence can still be found on the Hilton Chicago Hotel. Her photograph promoting the hotel since 2012 looks out onto Balbo Avenue — between Michigan and Wabash avenues. The Downtown ad was the highlight of Lawrence's brief modeling career. For the most part, she has pursued a career in television journalism, which included internships in 2011 at Fox32 and WCIU. Prior to returning home, Lawrence most recently worked as a breaking news reporter at Fox46 in Charlotte, N.C. She covered crime, major traffic accidents and other hard news along with features like NASCAR races coming to town and Taste of Charlotte. On the weekends, she hosted a four-hour morning show that included studio interviews with guests. She said Thursday the North Carolina job left her very little time to sleep but prepared her for her new gig in Chicago. That job "is where I learned to drink coffee and espresso," said Lawrence, who was raised near 92nd Street and Stony Island Avenue in Calumet Heights. "The Jam" will replace "You & Me This Morning" later this summer, said Steve Bailey, head of local programming for the television station based in the West Loop. The previous morning show has been on the air for more than seven years. "'You and Me' was always a softer feel to a show," said Bailey, who added that "The Jam" will take a more news-focused approach. And joining Lawrence as hosts of the new show will be Jordan Cornette and Danielle Robay. Lawrence knows someday she'll be reporting on people she knows and places where she spent time growing up. So she feels a tremendous "duty and responsibility" to represent the South Side. "I just think about the other little black girls in Chicago who might not otherwise see someone like me doing what they might want to do someday," said Lawrence, who is now settled in the South Loop with her fiance. In fact, Lawrence said she traces her interest in journalism to meeting Tamron Hall, who worked at Fox32 early in her career. Hall visited Lawrence's elementary school on career day. Lawrence attended Amelia Earhart Elementary School at 1710 East 93rd St. through seventh grade. She completed her primary education at Morgan Park High School and received her high school diploma from the same school at 1744 W. Prior Ave. in 2008 — a year ahead of schedule. "I cannot wait to go back to Morgan Park," said Lawrence, who ranked among the top Chicago Public School golfers as a Mustang. She also played soccer at Morgan Park. She went on to graduate from North Carolina A&T State University and also worked on the Kansas beat for an NBC affiliate in Joplin, Mo. She said that gave her an appreciation for small-town America. "If you report on the news that there is a missing child, people will go out on horseback looking," Lawrence said of her time in Joplin. Lawrence will spend next week in Cancun, where she and Chicago restaurant consultant Teddy Gilmore will get married June 24. The pair met through a mutual friend in 2009. She has nothing but gratitude for her family and friends who helped her achieve her present level of success, including those at Christ Universal Temple in West Pullman. "I hope to represent well," Lawrence said. "It's something that I don't take lightly, having the ability to sit in this chair."